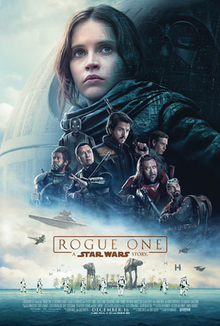 Set before the events of the original Star Wars, Rogue One follows Jyn Erso, whose past connects her to the Empire and the construction of the Death Star, as she joins a team of Rebels on a seemingly hopeless mission to steal the plans to the Death Star and stop the Empire from using it to take over the galaxy. Rogue One is definitely the movie that all Star Wars fans, including myself, have been waiting to watch this year. I was excited to watch this movie like any fan would be, but I was slightly skeptical as this is Lucasfilm’s first Star Wars spin-off. I was mostly satisfied with what I got. By no means does it reach the heights of The Force Awakens, but my inner Star Wars fan had a blast watching Rogue One. The impressive action sequences, terrific cast, and gorgeous visual effects make this film a treat to watch on the big screen. The style feels somewhat different than what we’ve received in previous films of the saga, and the action doesn’t feel too similar or borrowed, either. There’s a different approach to the violence and buildup because of this movie’s efforts to feel like a grounded war film, which it succeeds at very well. The fight scenes which include the classic X-Wing vs. TIE Fighter battles, Stormtrooper-filled shootouts, and other nostalgic callbacks are all shot and directed very well by Godzilla director Gareth Edwards, whose ambition for this story and franchise mostly pays off. Felicity Jones plays a strong female lead with a great backstory and lots of reasons to root for her. She and costar Diego Luna both bring lots of fun to their characters and carried the film very well, although Luna’s Captain Cassian Andor could have used more development. Ben Mendelsohn stars as an antagonist who opposes Jones and brought a great new character to life through his interesting performance. The supporting cast, including Donnie Yen, Jiang Wen, Riz Ahmed, Mads Mikkelsen, and Alan Tudyk are all phenomenal, although some of the heroes we are rooting for aren’t fully realized and lacked some of the development that I wanted from them. You’ll definitely also recognize Forest Whitaker in an over-the-top but fun and key role in the film. Although Rogue One‘s visual appeal and high enjoyment level make this a must for all fans of the series, it fell slightly below my expectations. Like I said before, not many of the characters are fully developed and although they’re all awesome to watch on screen, some of the writing for their backstories and motivations were missing. The opening act is too rushed and passes by a lot, with editing that could have been stretched out a little longer and scenes that could have been made more memorable and meaningful. The film just kept getting better as the run-time went on, though, with the themes soon becoming more powerful and relevant and the style becoming more distinct than the previous films. 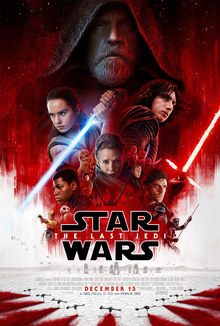 The final act of the film is when I was really convinced that this was the Star Wars film we deserved – the last 45 minutes alone are worth the ticket price, perfectly setting up the original movies and giving us a great touch of what we love from ’70’s and ’80’s sci-fi. Rogue One also features tons of memorable cameos from our favorite characters from 1977 and onward, which is guaranteed to be nostalgic for all audiences. With its surprisingly thoughtful and interesting themes that younger viewers will enjoy as well, and a spirit that brings us back to the golden age of sci-fi cinema, Rogue One will not disappoint Star Wars fans looking for a serviceable spin-off with a satisfying plot, cast ensemble, and jaw-dropping nostalgia. Packed with great action and visual effects, as well as a strong cast and themes, Rogue One is the prequel all Star Wars fans have wanted since 1999. It’s not as great as I think it could have been, as some characters are underdeveloped and the editing and pacing could have been more effective in the first act, but overall, Rogue One is a must-see for all fans of the saga and one of the most entertaining action films this year. So I finally saw Interstellar yesterday after all this anticipation. Did it disappoint? Absolutely not! This is an excellent film! There is so much suspense, the acting is fantastic, the visuals are gorgeous, and so is the soundtrack. This is Hans Zimmer’s best score ever. The whole cast was excellent, and they all deliver such stellar performances. But Matthew McConaughey blew me away with his emotion and I really felt for him. There were parts that made me really emotional too. Jessica Chastain and Michael Caine were also great. But the real star is director Christopher Nolan. He amazed us with movies like Inception, The Dark Knight Trilogy, and The Prestige. And now this, I just couldn’t believe what I was seeing. He directed it so well, and the film is just so great. 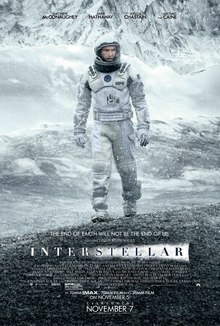 Chris Nolan always has great and unique ideas, and that is why he is my favorite director, and he blew my away with this. This movie is 2 hours and 49 minutes, but it felt like much less. It was pretty fast, but not rushed. I was not bored for a second. To be honest, I think it could have even been longer, but it didn’t have to be. The scenes in space are the most amazing things I’ve ever seen, and yes, it’s much better than Gravity. I will say the ending did disappoint, though. I thought it would be one of Nolan’s genius endings like Inception, but it wasn’t. It didn’t make sense at first, but when you think about it, it kind of does, but I just wish it was less confusing and a bit more realistic. Nonetheless, this movie is terrific. From the visuals to the acting to the soundtrack to the story, it’s a flawless space drama movie, except I didn’t love the ending. But I will say it is the best movie of the year and one of Christopher Nolan’s best films. I would definitely recommend this movie for anyone.